House of Blues is located across from Disney Quest. 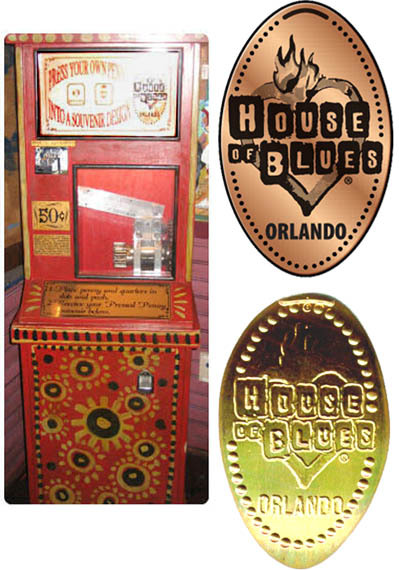 There is one 1-die machine across from the restrooms inside the restaurant with a newer House of Blues logo. A second logo has been removed. You may want to consult James very fine listings available at www.presscoins.com before venturing out. 10/15: Downtown Disney name changed to Disney Springs .